Available in 3 pack sizes: 12 g, 25 g or 100 g.
As this is a hand made product, the stick quantity can vary. 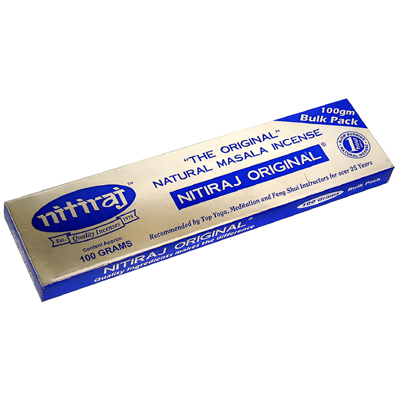 The first natural masala incense introduced by Nitiraj in 1978, which has become the incense of choice for people who appreciate quality incense. Recommended by Top Yoga, Meditation and Feng Shui Instructors for over 25 Years.